While its name might be confusing, there are actually 2 versions of SQL Server Data Tools, one that focuses on Data Modeling and Tooling, another one that purely focuses on BI and was previously known as Business Intelligence Development Studio. In this blog, we’ll focus on the Database Modeling and project add -ins for Visual Studio or Visual Studio Shell, which will allow you to easily perform database tooling, and publish to multiple platforms including SQL Database which runs on Azure. 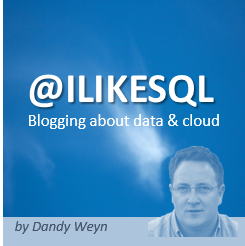 If you want to find out more about the BI version, read this blog. SQL Server Data Tools – for Visual Studio 2013 (or Visual Studio 2013 Shell) as mentioned above, are not installed by default.By downloading the SQL Server Data Tools – Database Projects you can either download the add-in for Visual Studio 2012 or Visual Studio 2013. Unfortunately the version for Visual Studio 2010 will no longer be updated as per SSDT Team Blog. You will also have to download the Data Tier Application Framework (DACFX) here – http://www.microsoft.com/en-us/download/details.aspx?id=45886. I would strongly suggest to create an Administrative administration point for it as outlined in the blog. Note: the download location and folder you want to layout (extract) the files to are parameters depending on where you want downloaded the file and where you want to extract to. Note: I choose the /passive parameter instead of the /q or /silent parameter in order to show interaction and execution progress in the GUI (Graphical User Interface). 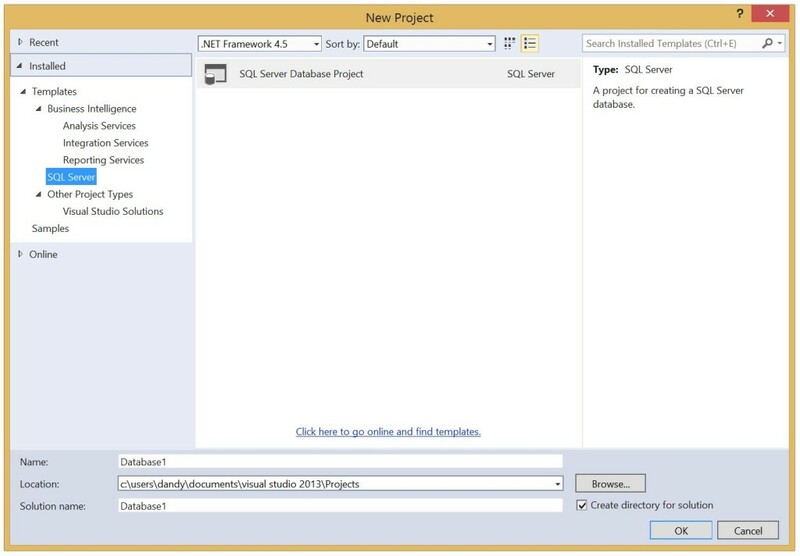 After installation, whether you used the graphical installer or installed from the command line you’ll find SQL Server Data Tools in your start menu and added to the project templates in Visual Studio 2013 if you had a full installation of Visual Studio. Don’t forget to also install the DACFX framework .